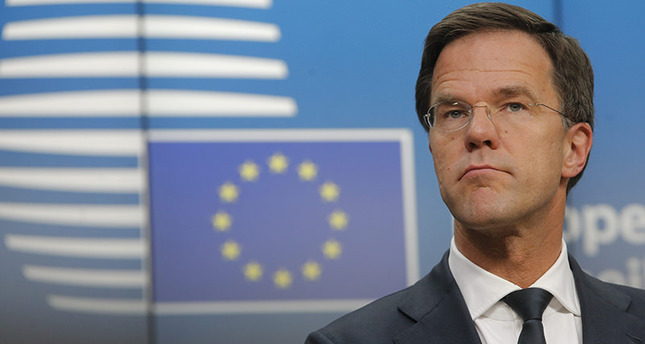 The EU has "no alternative" but to sign a deal with Turkey to curb the refugee crisis, which could halt the flow of refugees to Europe within a month, Dutch Prime Minister Mark Rutte said Thursday. "What we clearly want is that the crossings stop because we are sending people back to Turkey. We expect that that would stop the crossings within three, four weeks" Rutte, whose country holds the rotating EU presidency, told reporters. He said that cutting the flow across the Aegean Sea from Turkey to Greece, and then up through the Balkans to northern Europe, would help cut the number of refugees leaving Syria. "There is no alternative, we have to come to a deal," he added. "If not the situation in Greece will remain very serious, come to a crisis. It is crucial that we come to a deal now and tomorrow." Under the proposed deal Turkey would take back all migrants arriving in the Greek islands. In exchange for every Syrian refugee sent back to Turkey from Greece, the EU would resettle one Syrian refugee direct from camps in Turkey. More than 1.2 million asylum seekers arrived in Europe since January 2015, most of them fleeing war in Syria, Iraq and Afghanistan, in the continent's biggest crisis of its kind since World War II. Home to more than 2.5 million Syrians and still facing a continuing stream of refugees due to Russia-backed regime offensives in northern Syria, Ankara continues to act in dealing with the humanitarian aspect of the crisis. Contributing nearly $9 billion to humanitarian aid during the ongoing Syrian crisis, Turkey's aid for Syrian refugees has been 20 times more than the aid received from international organizations, according to the Prime Ministry Disaster and Emergency Management Authority (AFAD).